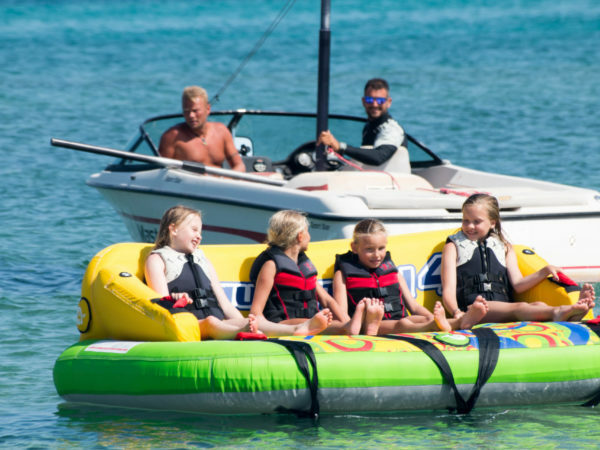 Total beginner or advanced water skier, we do it all. If you want to take the first steps to learn how to waterski, we will take you there. 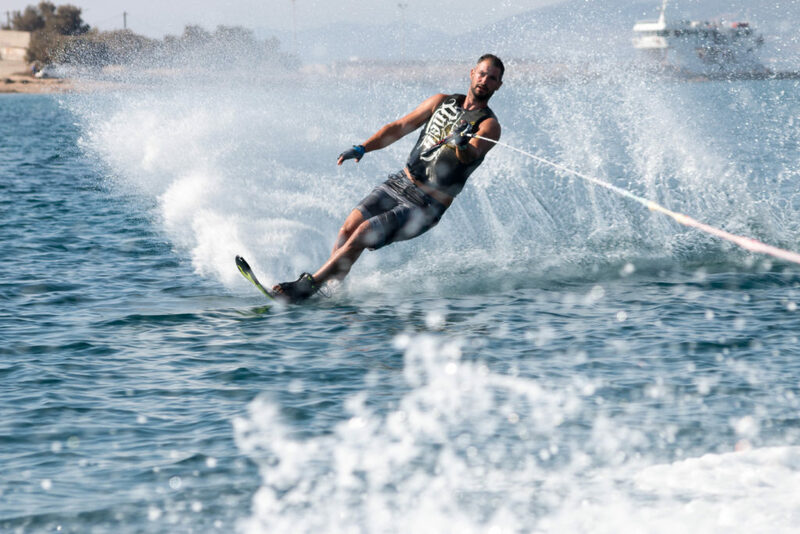 Our experienced waterski instructors will teach you all basics about bodyposition to start and get out of the water, movements to take your first turns and make a slalom behind the boat. Lessons are offered for double and mono ski. Waterski can be done by everybody! Easy to learn, fun to practice! Those of you that already have the experience get out there and do your turns behind our Skiboat! Enjoy the spray, feel the exercise! 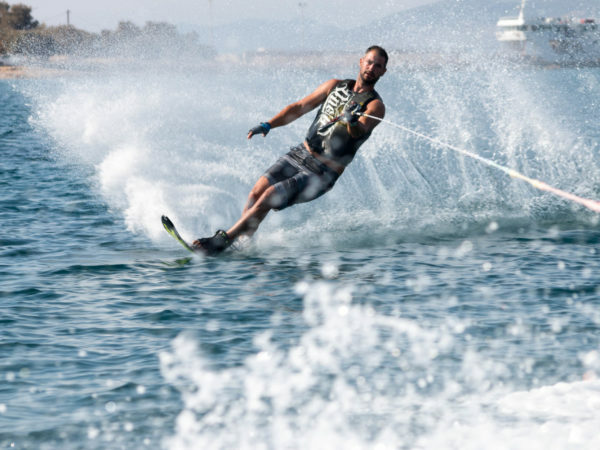 To waterski, you should start in a sitting position in the water with your knees bent and weight shifted to the back of your skis — so the front tips of your skis will poke out of the water. Make sure to maintain your balance; the forces pushing and pulling will make balance a little tricky. As the boat accelerates, it will begin to pull you. At that point, all you need to do is stand up. To do this, keep your arms straight out in front of you and your back straight as well, but bend your knees. If you want to get some practice before you hit the water, you can try stretching your arms out straight and lowering yourself in a chair at home a couple of times to get the feel for this motion before you hit the water. After you’ve begun gliding along, you should keep your knees bent. This will help to absorb any of the bumps you might encounter. While you’re skiing, be sure to stay behind the boat as it turns. That way you’ll be inside the boat’s wake, the waves created by the boat. If you’re following to the side of the boat, outside the wake, you’ll whip around pretty quickly as it turns. 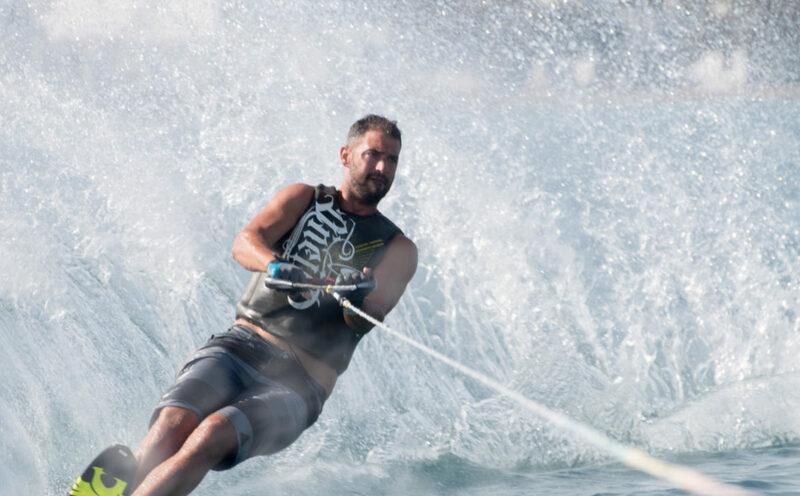 Once you become more advanced, you can try to maneuver, cut and jump outside the wake. When you need to stop, sit on your skis and let go of the rope. That way, you’ll glide for a while and come in for a smooth landing. Don’t try to ski into the dock. Rather, come in for a safe landing away from any object you could collide with.